For those of you who expect more from their vehicles, this premium tyre is for you. Engineered with advanced Bridgestone technology, we combined rugged durability and a noticeably longer life with excellent handling on wet and dry roads. These are the tyre's features but the driver benefits are much more: less fuel consumption and safer manoeuvrability. 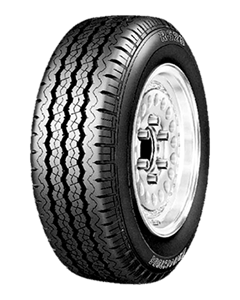 Sorry, we currently do not have any tyres with the R623 pattern in stock.